What would you pay to do? What passions are worthy of your time, energy, and financial resources? 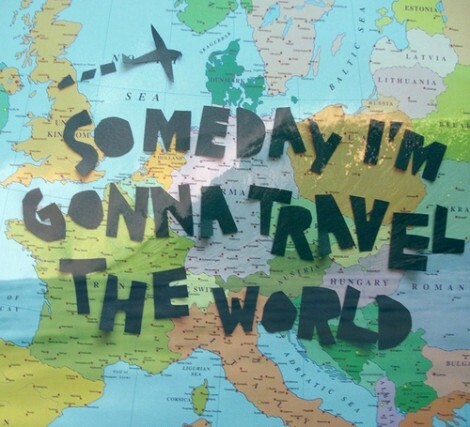 If money came in an endless supply I would undoubtedly step far outside of my comfort zone and travel the world. I would want to see beautiful, exotic places but the soul inside of me wants to visit the poverty-stricken places of the world that are in desperate need of attention. I want to spend time with the children and women of the world and ask them question after question so I would be able to see the world through different lenses. I have lived this life with having so much when people in other places have so very little. I don’t need a bunch of material items. If I could pay for anything it would be the travel fees to bring me to all of these places that have peaked my interest (Vietnam, India, Singapore, Bangladesh). I would want to use my money to buy school supplies and give children (especially female children) the opportunity to attend school and see the power that knowledge can really have. I would want to sit in classrooms and homes and teach people as much as I could but also ask the same in return. I would want to share my ideas of peace and equality (even if they may not by accepted by other cultures). I don’t take everything that I have for granted. I work hard, I study hard and I do like to buy nice things here and there. I have just grown sick of the superficial ways of this place that I live in. In a heartbeat I would rather do for someone else before doing for myself (this would be why I have been in debt more than once). I have a hard time with the attitudes of the society that I live in because it just seems so self-involved. This looming election only strengthens this belief of mine. We have grown to be a society that focuses on “ME ME ME”. I guess I am just kind of holding onto a foul mood today that I need to rid myself of. I used to be a party girl. I used to be the girl that would never stay home and I was outgoing and loud and constantly meeting and talking to new people all of the time. That person has long disappeared and I have become the complete opposite. I like the place that I am at now in life but it is quite secluded. To be honest, there are very few people I relate to because I so badly want to dive much deeper than surface level and the people I have met do not. Sometimes people think I take life too seriously and who knows maybe I do. I can’t help but want to learn and discuss everything that I possibly can. I am still finding more of myself every day and it is the acceptance of self that seems to take time….the acceptance of how life turns out (even when we hope for different expectations). My passion is to travel and to meet people so different from myself and to learn from these people anything they are willing to teach me. I want to not just learn the traditions and customs of other groups of people…I want to experience them first-hand. I want to get out of my bubble and expose myself to others hardships so I can get a better grip on my own. I am constantly worrying about what others think about me and losing friends and why I have lost them and to other people in other places these things would be so insignificant. To other people their only goal for every single day is survival. You should check out our story and our latest weekend video. Think it might give you some inspiration to do exactly what you want to do 🙂 best of luck to you, always live your dreams no matter what. I am inspired by your dreams! They resonate with my own personal opinion. It’s just amazing to find you expressing thoughts and experiences that I used to think were perculiar to me. You really are unique and I both enjoy and appreciate what you are doing. My passion is the same. With some pluck, resourcefulness and patience, I hope to make it happen! Rooting for you all the way! Girl, I am the same!!!! I feel like you read my mind when you wrote this post. I am taking another small step forward toward truly living my passion today…..starting an internship at a foundation that helps others learn to treat their own brain disorders and find peak performance levels. I am spending some of my meager disability income in order to make this happen and I couldn’t be happier. I am rooting for you on your journey as well. Keep on going.